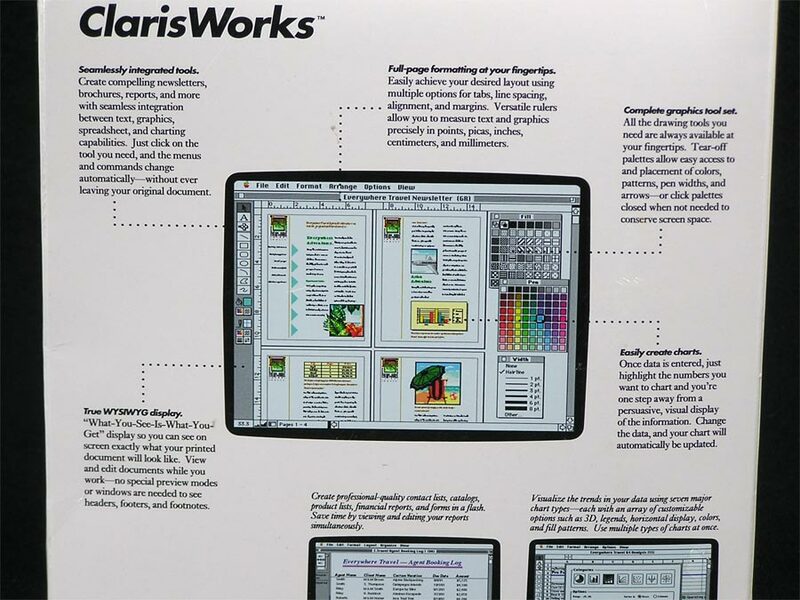 The first ClarisWorks! One powerful application for all kinds of documents. Seamlessly access full-featured word processing, graphics, spreadsheet, database, and communications capabilities without having to switch modules. New sealed box! 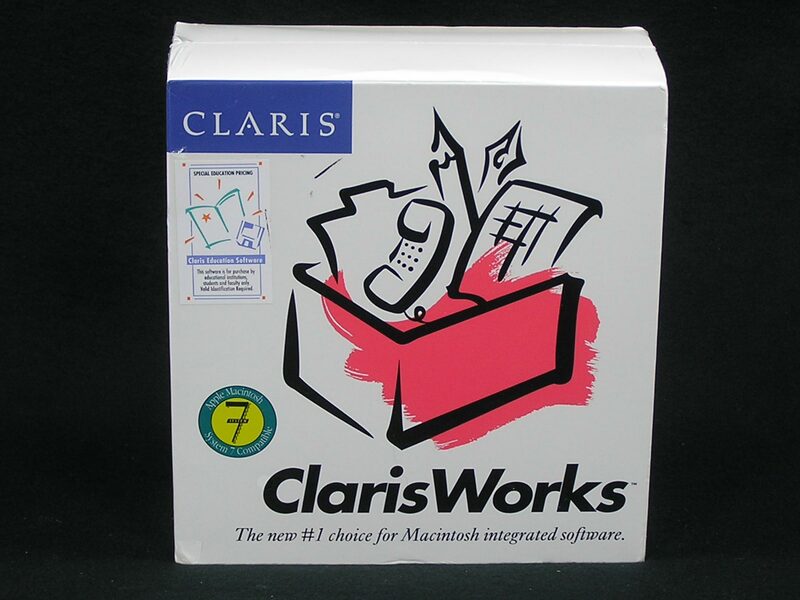 Required equipment: Macintosh Plus, Classic, LC, SE, Portable, PowerBook, Macintosh Quadra, or II computer. Two 800K disk drives (hard disk recommended). 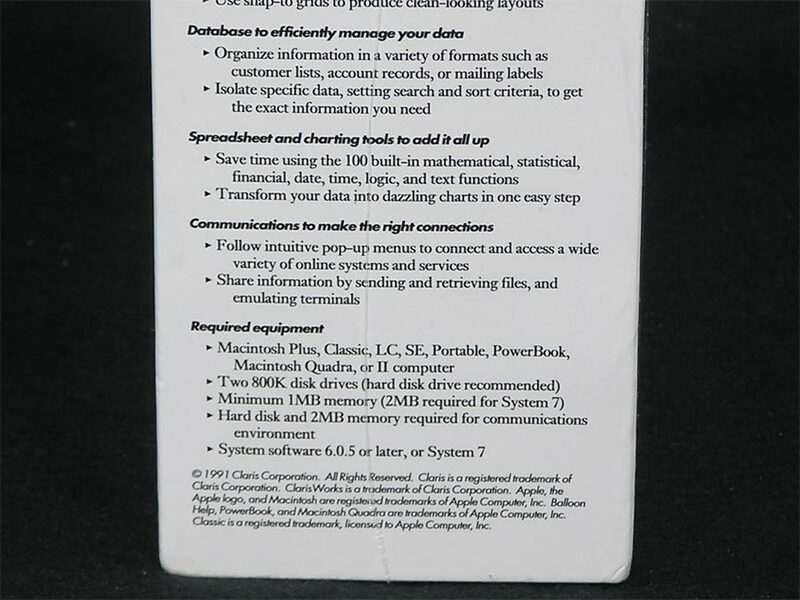 Minimum 1MB memory (2MB required for System 7). Hard disk and 2MB memory required for communications environment. System software 6.0.5 or later, or System 7.